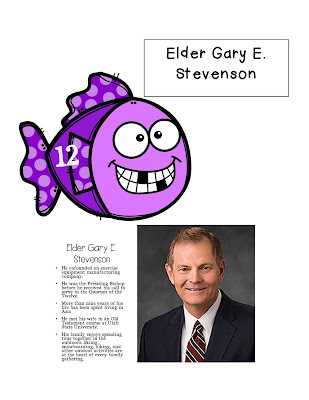 General Conference is this weekend and I can't wait! With that being said it kind of snuck up on me and I'm just now finishing our Family Home Evening for tonight. 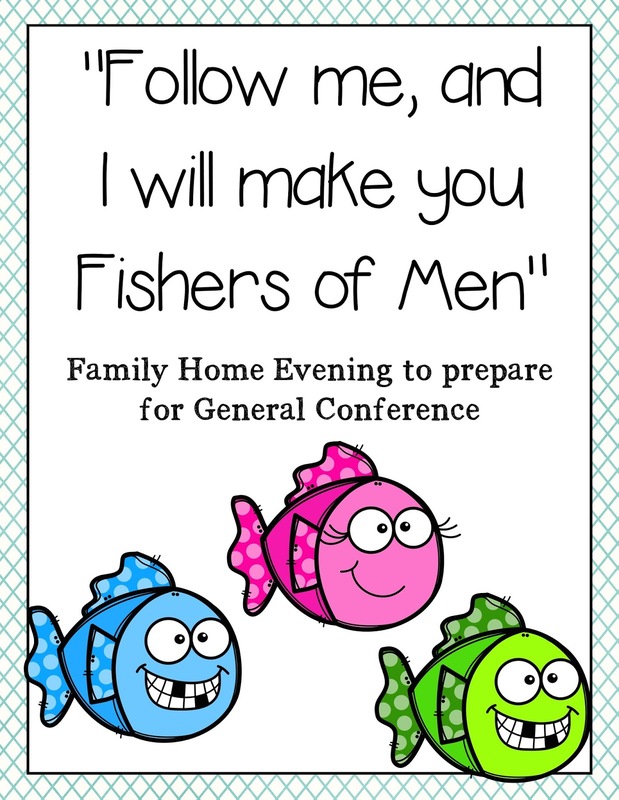 If you don't find this in time you can still use these cute fish and fun bios during conference. You may need to change it a little to fit your needs. I'm actually using a lot of this fhe I posted last year, its just updated. 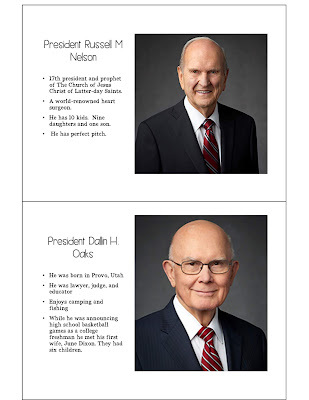 We are going to be learning some fun facts about the apostle and prophets so they might recognize some of them as they speak but more importantly we are going to talk about why we have a prophet and apostle, why we have conference and how we can be spiritually prepare to hear their messages. This is just my outline. Add whatever you think would be best for your family. You can download The game and bios here and the power point here. I'm crossing my fingers I shared the power point right...let me know! Update! The power point has been updates with some extra fun facts and you can get the printable card version with the updates in the download in this post. The Theme is "Follow me, and I will make you Fishers of Men"
Did you know the prophet and apostles in our day are also "Fishers of Men." Like the disciples in Jesus's time that left their nets and followed him they follow Jesus Christ and help spread his message. "I have thought of this example many times as I have considered that those who stand at the head of the Church have responded with similar faith to the invitation to “follow me.” Like the ancient Church, The Church of Jesus Christ of Latter-day Saints is led by prophets and apostles, who have forsaken their nets and their hard-earned professions and have developed new skills in order to serve and follow the Master." Fishing Game. You can use this game however you want. I included all 15 but you can use just a few or all them. Print and cut out the fish and names. 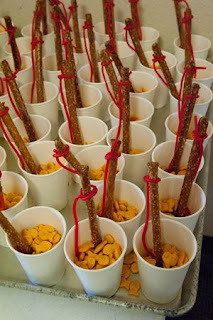 You will want to put these in order so they will correspond with the power point slides. Open up the power point. For each turn show the number slide (1-15) then the next slide with just the picture. (Ask does anyone know who this is?) Have someone fish for the number you just showed. Once the fish is caught read the name on the back (you can show the next slide). Then pull up the next one and read a few fun facts about the prophet or apostle you just picked. Work your way through the 15. Additional info to make the game: Print (card stock works best) and Cut out the fish. On the back glue/tape either the names or the pictures (also included in the download). 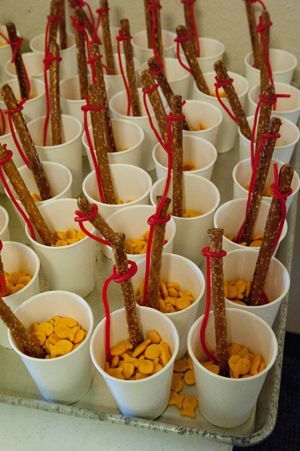 Slide a paper clip on each fish (a magnet works too). For the pole I like to use a wooden dowel, tie yarn to the end and glue 2 button magnets to the end on the yarn. If you do not have or want to use power point I have included all of the bio cards in the pdf with the fishing game. Print or share on your computer. If you are using power point you do not need to print these (save some ink!). Ask How can we prepare for General Conference? Finish with this video. 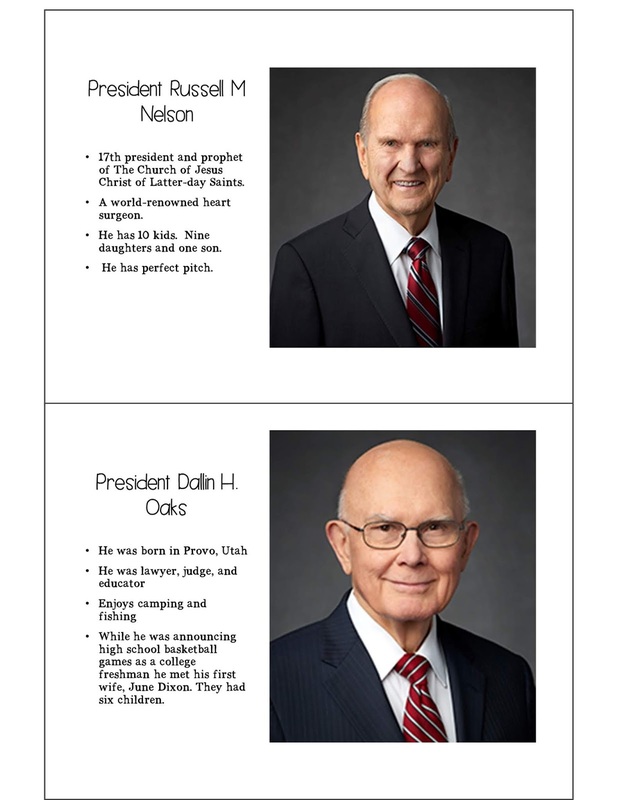 This is a short clip of some of the apostles and the prophet bearing testimony of the Savior. Its my favorite. I think its so important for my children not to just read the words of the prophet but to actually hear and see the prophet speak. What better message then one of the Savior. Adorable fish clip art from here. This is so cute. I wish I came across this a month ago. I love the fishing game idea. BTW the power point was downloaded properly. Thanks for stopping by and your kind comments. Also thanks for letting me know the power point worked!